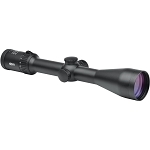 Enjoy an easy-to-view 4C/4K reticle in the height of the sun or in the depth of the night with the MeoStar R2 8x56 Riflescope from Meopta. 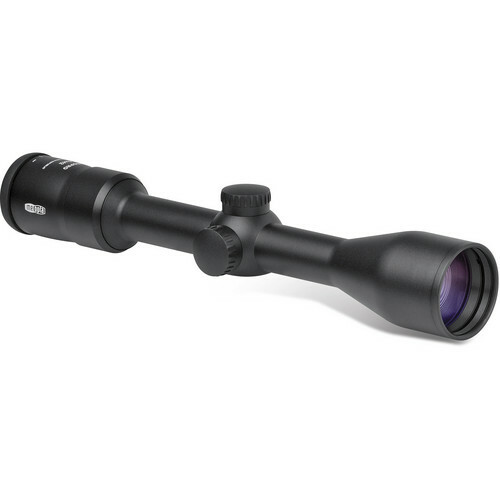 A 30mm maintube is combined with the MeoLux ion-assisted multi-coating to provide significant light transmission per lens surface. To further enhance usefulness, Meopta coated the external lenses with their MeoDrop hydrophobic coating to repel water, grease, skin oils, and other lens surface contaminates that can impair clarity. 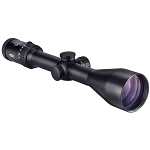 The 4C etched glass reticle features RedZone 8 Illumination, a user-selectable illumination system with 8 levels of reticle intensity. Low profile turret control provides rapid selection, with intermediate off positions between each level. 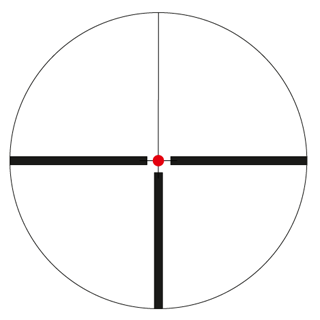 The 4C/4K design has thick side and bottom posts and a thin crosshair centering the illuminated red dot. MeoTrak II finger adjustable windage and elevation adjustments deliver 1/4 MOA adjustment per click, and the MeoClick tactile-disc turrets allow for quick and easy reticle adjustments with positive tactile and audible clicks ensure accurate zeroing and adjustability in the field. The erector system was developed to withstand heavy recoil and eliminate backlash, resulting in repeatable accuracy and zero hold. A one piece aluminum alloy maintube is "ELOX" hard anodized for a durable non-reflective matte black finish. The housing is waterproof and nitrogen-filled for fog resistance. To protect external lens surfaces and provide enhanced resistance to scratching or abrasion in extreme conditions, Meopta added their MeoShield protective coating. 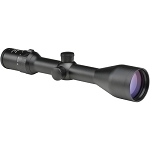 This riflescope carries a limited lifetime warranty.